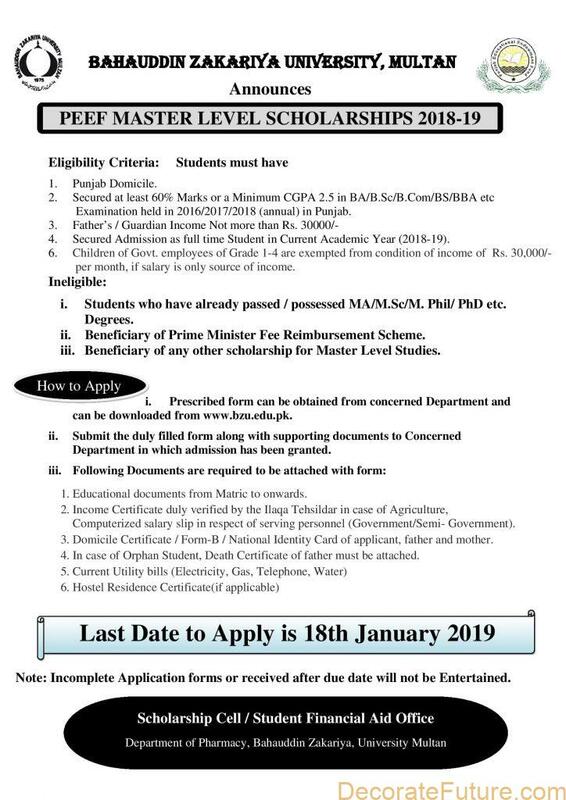 Bahauddin Zakariya University Multan Announces The Punjab Educational Endowment Fund PEEF Master Level Scholarships 2019. 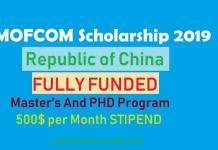 PEEF has allocated 20% of its annual scholarship quota for Master’s Level Education. 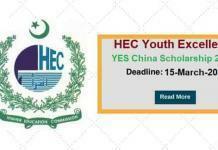 These scholarships are awarded to talented and deserving students enrolled in partner universities and government postgraduate colleges of the Punjab. 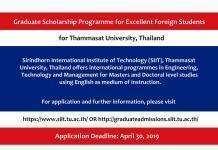 In order to be considered eligible for PEEF Master’s level scholarships. 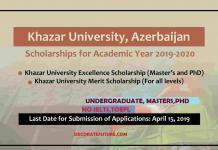 Besides fulfilling PEEF eligibility criteria, the prospective student must qualify the merit and need criteria of the respective University/government post-graduate college. The beneficiary of Prime Minister Fee Reimbursement. PEEF has allocated scholarship quotas to all the partner universities and all government post graduate colleges of Punjab..
a. Day scholar PKR. 3,000/- per month. b. Boarder PKR. 5,000/- per month. Educations Certificates from Metric to onward. Income Certificate Duly verified by illaqa Tehsildar. Domicile Certificate/ Form B/ Nic of applicant/ parents. Incase of orphan death certificate of Father must attach.